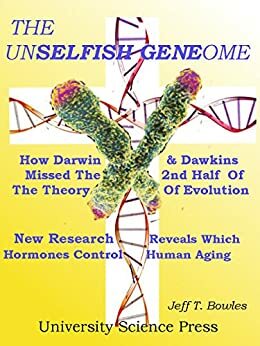 The Unselfish Genome- How Darwin &amp; Dawkins Missed The 2nd Half Of The Theory Of Evolution: New Research Identifies The Hormone Changes That Control Human Aging - Kindle edition by Jeff T. Bowles. Download it once and read it on your Kindle device, PC, phones or tablets. Use features like bookmarks, note taking and highlighting while reading The Unselfish Genome- How Darwin &amp; Dawkins Missed The 2nd Half Of The Theory Of Evolution: New Research Identifies The Hormone Changes That Control Human Aging.